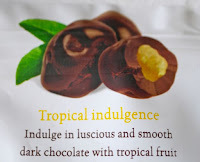 Aloha tropical fruit fans, and welcome to Day #2 of Chocolate and Banana Theme Week. Today's tasty organic, shiny dark chocolate covered banana pieces were created by Zola (San Francisco). 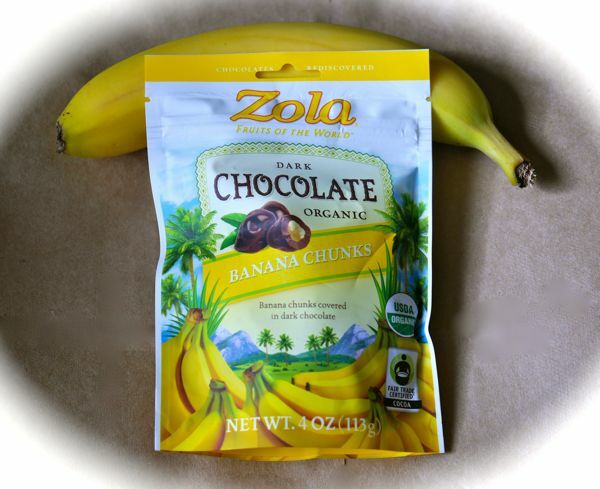 Zola's focus is on "fruits of the world"—e.g., acai berries from Brazil, coconut from Thailand, or bananas from various countries. The company is perhaps best known for their coconut water (original and flavored). 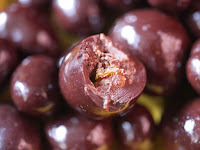 Zola also makes some fruit offerings with chocolate. 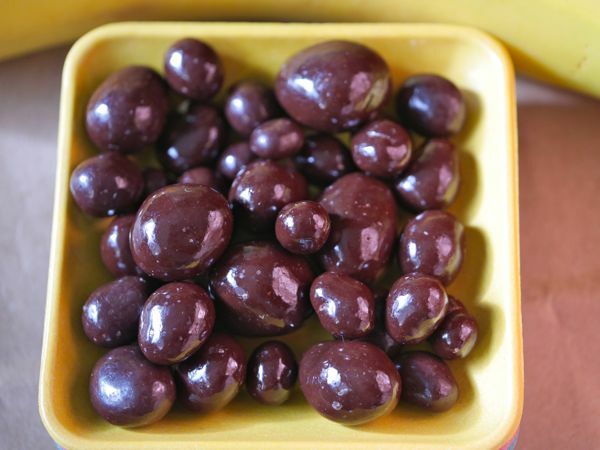 (And, after all, chocolate starts as the seeds, or beans, inside a fruit.) The dark chocolate today was made from organic and fair trade certified cocoa.